Of these three we have seen what Google is putting on the table right now with their project cardboard. This clever little item is a specially crafted cardboard headset that allows you to leverage an existing Android smartphone as you display. It is intended to allow developers to build VR applications without the need to buy expensive hardware. It puts development into the hands of more people which should help push VR along. Sony has also shown us brief glimpses of their product, but nothing definitive just yet. There are also the players that have not made official announcements, but we have hear rumblings of their VR involvement. Valve has shown off a headset that could become a real product although the going claim is that it is just used for development. There have been a few rumors about a VR headset for the Xbox One to compliment the Kinect, but again noting firm. This brings us to Samsung. Right now Samsung would like to get a working product on the market. They also need something to help bring back the handset sales they have lost over the last couple of quarters. These two factors are probably part of the reasons that Samsung’s first VR headset might be nothing more than a dock for a phone. This is what we are hearing from a few leaks on the internet. 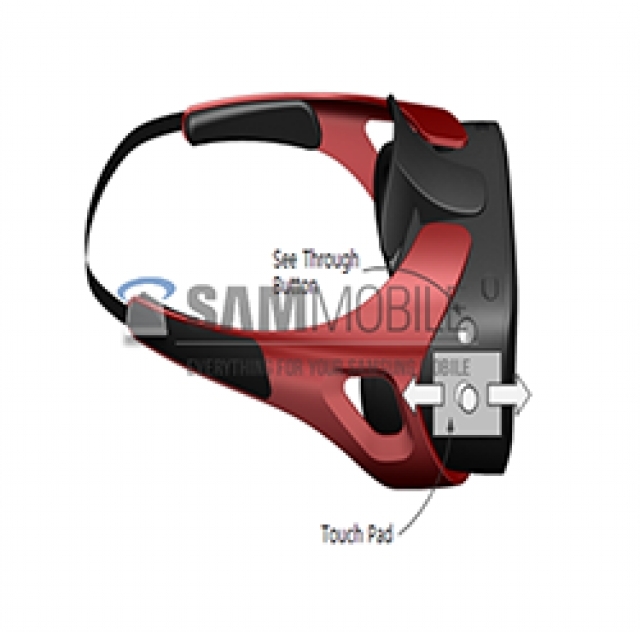 According to Sammobile.com they have confirmation that Samsung’s new VR headset will be call Gear VR and feature a dock for a Samsung Phone powered by a USB 3.0 port. The phone will use its accelerometer and gyroscope to track a wearer’s head movements. The CPU inside the phone will be responsible to putting everything together properly. Now this might be a great way to save on manufacturing and development costs, but we can see potential issues with this direction. By putting the load on the CPU inside the phone (and the inaccurate motion detection functions in a typical phone) you could end up with poor performance. If Samsung does not compensate for this they could end up with a failed product and more lost sales. Sadly the rush to market seems to be a trend at Samsung lately where they pushed out the original Gear smart watch long before it was ready and there are complaints of issues with the Galaxy S5 and Note III that all seem to be design flaws and not truly correctable by software updates. Let’s hope that Samsung does not rush this one out with problems as well.